Land Rover's rugged-yet-luxurious Range Rover has long appealed to the well-heeled and adventurous, but rising gasoline prices, stringent environmental standards and the need to attract younger fans have led to a new kind of Range Rover. 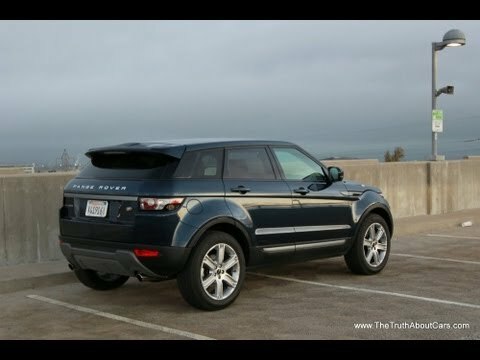 The 2013 Range Rover Evoque is a sleek and stylish compact SUV that reinterprets the classic Range Rover formula. One of the most enjoyable cars I have owned in 50 years. Mileage is about 25 mpg, interior seating is comfortable, center console give you the feeling of a high performance race car. Sound system is excellent. Front and rear heated window defrosters. Extended length moonroof. Great for long distance trips as well as ease of changing road condition suspension traction. It is sleek, stylish, comfortable, and runs with power. The exterior is white while the interior is tan leather. It has a panoramic sunroof which is amazing and helps the inside of the car feel more spacious. The wheel rims are black - a nice offset from the white of the exterior. Check with manufacturer before buying- rear drive shaft is an issue. Great performance, sound system, and interior. Dash has touch screen features which is useful, although my model did not come with navigation. Not a lot of rear leg room. Rear drive shaft is in need of repair at 80, 000 miles and a used one is almost impossible to get.